Sometime the report that you want to generate contains no data. If you like, Metric Insights can generate an empty report in these circumstance. This article explains how. 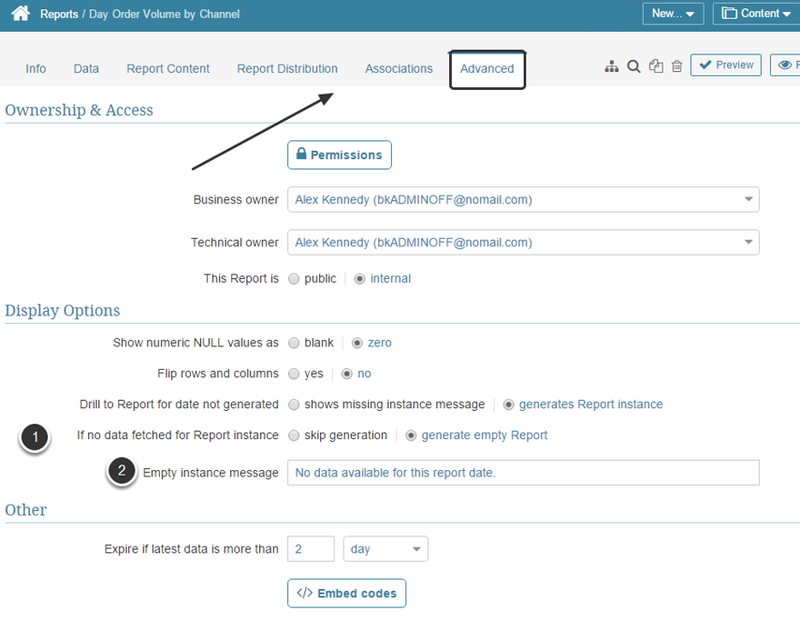 Toggle If no data fetched for Report Instance to “generate empty report” to ensure that Reports are generated even when there is no data. IMPORTANT: If you set If no data fetched for report instance to “skip generation' , then no report instance will be generated when there is no data. If the report is a single-instance report (i.e., if Keep-History is set to "No"), then there will simply be no report. If the report has Keep History set to "Yes", then the last non-empty instance of the report will be displayed.